A normal countertop set of scales is infinitely useful, whether you’re baking a cake or weighing a parcel. But if you’re weighing something big or cumbersome, that set of scales suddenly seems inadequate. A floor scale is essential for weighing large items, and is a must-have for so many different businesses: farms, warehouses, logistics, and much more. We’ve sourced top-quality, accurate industrial scales so you can get a precise and reliable reading every time. For retailers, manufacturers and all kinds of industry professionals, a floor scale is an extremely useful industrial appliance. A floor scale can be used to measure the weight of any heavy item which can be placed on a flat surface: ideal for weighing crates of stock or agricultural produce, sacks of building materials such as gravel or sand, or even to weigh things like recyclables or livestock! A floor scale is especially useful for processing large parcels, whether you will be taking care of the delivery or you run a customs office where such parcels will be controlled. Any stationary load that can be placed on the scale using a fork-lift truck, crane or old-fashioned manpower will be measured quickly and precisely by the scales; the large weighing plate would be ideal for containers of retail goods or for large kitchen appliances such as fridges and dishwashers. These scales are sourced from reliable manufacturers such as Steinberg Systems, a reputable German manufacturer who also provides our high-accuracy scales for laboratory use – meaning you can trust the accuracy and lifespan of these products. User-friendliness and practicality has also been optimised so that these appliances are ideally suited for regular operation; for example, the LCD readout with backlit display is clear and easy to read, and can be operated portably so you do not need to stoop to see the result. Our catalogue of floor scales features a wide range of different models which have different maximum weights and levels of precision depending on what your particular needs are. Our starter model of floor scale weighs items up to 1 ton in weight with an accuracy level of just 200g, while our other models range up to 1.5 tons, 3 tons or even 5 tons. The 5 ton model of floor scale features a weighing platform of 1,5 metres squared, for a practical weighing solution even for truly hefty loads. Each model has all the functions you would expect from a professional set of scales, including tare, hold, and store functionality – and some even include a price calculating function, while others have useful ergonomic features such as a handle for moving the weighing platform around. All of our professional scales are engineered to be tough and manufactured with quality materials and circuitry, and we also offer winches and other lifting equipment to help you get your heavy items onto the floor scales. 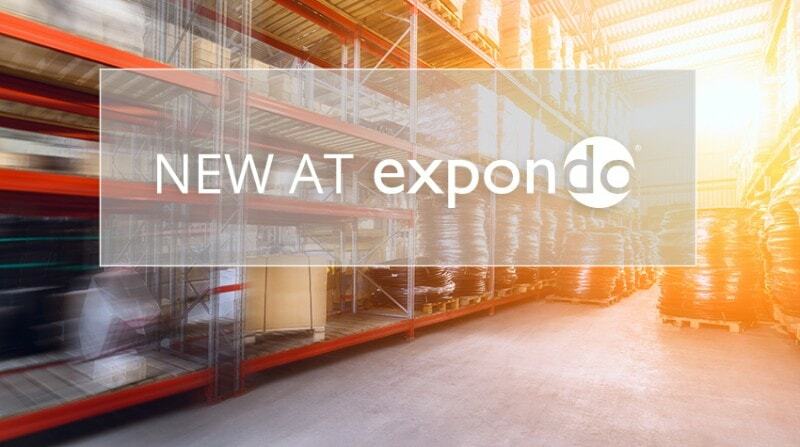 Expondo is a widely trusted and reputable provider of professional equipment, appliances and power tools, because we focus on quality, reliability and robustness; that’s why you can rely on these scales to be a wise long-term investment. From veterinary surgeries to stockrooms, factories to processing plants, a high-quality floor scale is one of the most useful and versatile appliances you can bring in to your business. And, of course, any post office or delivery company will be lost without one! A normal countertop set of scales is infinitely useful, whether you’re baking a cake or weighing a parcel. But if you’re weighing something big or cumbersome, that set of scales suddenly seems inadequate. A floor scale is essential for weighing large items, and is a must-have for so many different businesses: farms, warehouses, logistics, and much more. We’ve sourced top-quality, accurate industrial scales so you can get a precise and reliable reading every time.